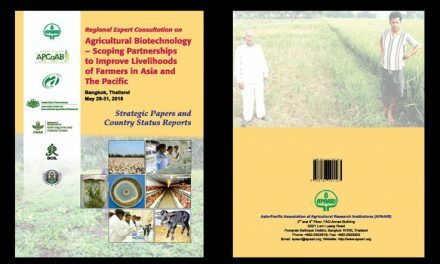 The new and emerging biotechnological research advances, transboundary disease and pest movement, and climate change are likely to have profound impact on plant and animal health and consequently human welfare. Advances in genetic engineering leading to release of modified crops like Bt cotton and Bt corn have brought significant improvements in productivity, reduced the use of pesticides and increased farmers’ income. However, GMOs require proper handling and field management due to concerns about their safety to health and environment. The liberalization of global trade in recent years has opened new avenues for growth and diversification of agriculture. But it has also increased the risk of introduction of exotic pests and weeds with the potential to cause serious economic losses. Climate change has the potential to alter the habitat of known pests and even help introduction of new pests. The emergence and spread of transboundary diseases such as the avian influenza and Ug-99 wheat stem rust pose new threats to human and plant safety. Also, there is a need to contend with the ever increasing threat of bio-terrorism. It is because of these concerns that agricultural biosecurity has emerged as a serious issue requiring policies and technological capabilities to prevent, detect, and respond to such threats. While appreciating its biosafety risks, biotechnology offers means to enhance biosecurity. Animal diseases are controlled by biotechnologically developed vaccines while ELISA and PCR enable quick and reliable diagnosis of diseases in plants and animals. Genetically modified crops would safeguard against the spread of new diseases and pests, and thus serve as a first line of defense. 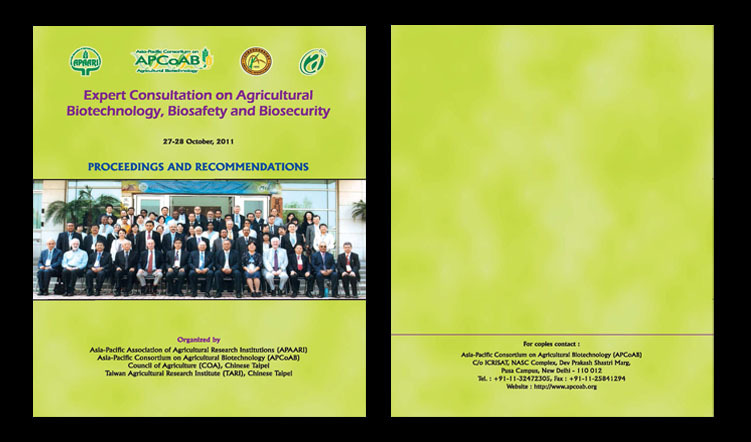 In view of the above mentioned biotechnology and biosecurity issues to ensure food and nutritional security, the Asia-Pacific Association of Agricultural Research Institutions in collaboration with Council of Agriculture, Chinese Taipei organized an “Expert Consultation on Agricultural Biotechnology, Biosafety and Biosecurity” in Taichung on 27-28 October 2011. 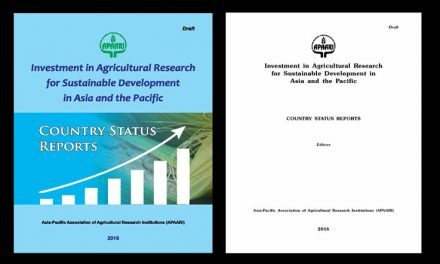 The objective was to review the present status of biotechnology and biosafety adoption in the Asia-Pacific countries, to suggest approaches to improved application of biotechnology, biosafety and biosecurity for agriculture, and develop strategies for regional cooperation in these areas. We are glad to note that the meeting evoked excellent response with participation of 73 invitees from 22 countries of Asia, the Pacific, Australia, Africa and North America. 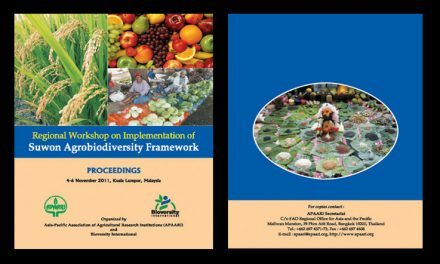 The participants included international experts and leaders from APAARI member NARS and CG centers, representatives of industry, civil society organizations and farmer groups. 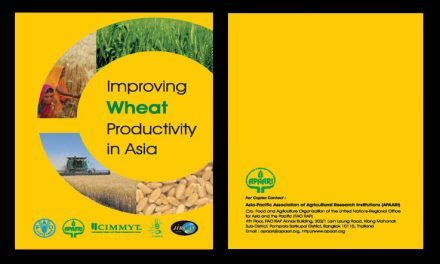 We appreciate the support of Global Forum on Agricultural Research (GFAR), Taiwan Agricultural Research Institute (TARI), AVRDC- The World Vegetable Center, IRRI, CIMMYT, CABI and staff of APAARI, COA and TARI in organizing this meeting. It is our hope that the recommendations will stimulate action for development of comprehensive agricultural biosecurity systems at the national and regional levels, while taking advantage of available tools of modern biotechnology.